A new system cleared by the cabinet yesterday mean drivers will need to provide documentary proof that their cars were not used. REFORMS TO Ireland’s motor taxation system will mean that drivers will no longer be able to retrospectively declare that their cars were off the road when renewing their tax. The government yesterday approved plans to overhaul the taxation system meaning people will no longer be able to allow their motor tax to lapse between renewals, and later claim that their cars had been unused and off the road. In future, motorists will be required to declare that their cars are being taken off the road at the beginning of their inactive period – meaning those who don’t do so will be required to pay for tax in arrears afterwards. The reforms, brought forward by environment minister Phil Hogan, are aimed at curbing the current loophole which allows some motorists to evade motor tax in periods between the expiry of one tax disc and the purchase of another, provided they are not caught on the roads during that period. The government believes abuse of that system costs the state some €55 million a year. People caught in breach of the new system, driving a car which has been certified in advance as being off the road, will be liable for charges both of making a false declaration as well as driving without valid taxation. Conor Faughnan of AA Ireland said the proposal “made sense” as the current system allowed some people to drive without taxation, which was unfair to the “compliant majority”. He added that it was “not unreasonable” to motorists to inform the tax office if their cars were being taken off the roads, but warned that the AA would “not be supportive of anything that forced people to jump through bureaucratic hoops”. Faughnan explained that the AA would support a system allowing people who had paid tax in advance, but whose cars were then taken off the road for various reasons such as emigration or an accident, to have their tax refunded on a pro-rata basis or carried forward to another period. Email “Motor tax reform will require drivers to prove cars are off the road in advance”. 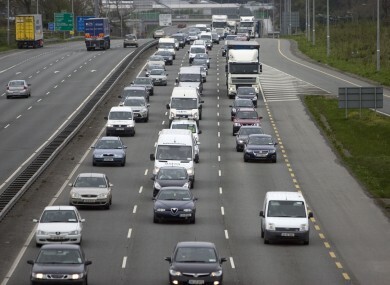 Feedback on “Motor tax reform will require drivers to prove cars are off the road in advance”.